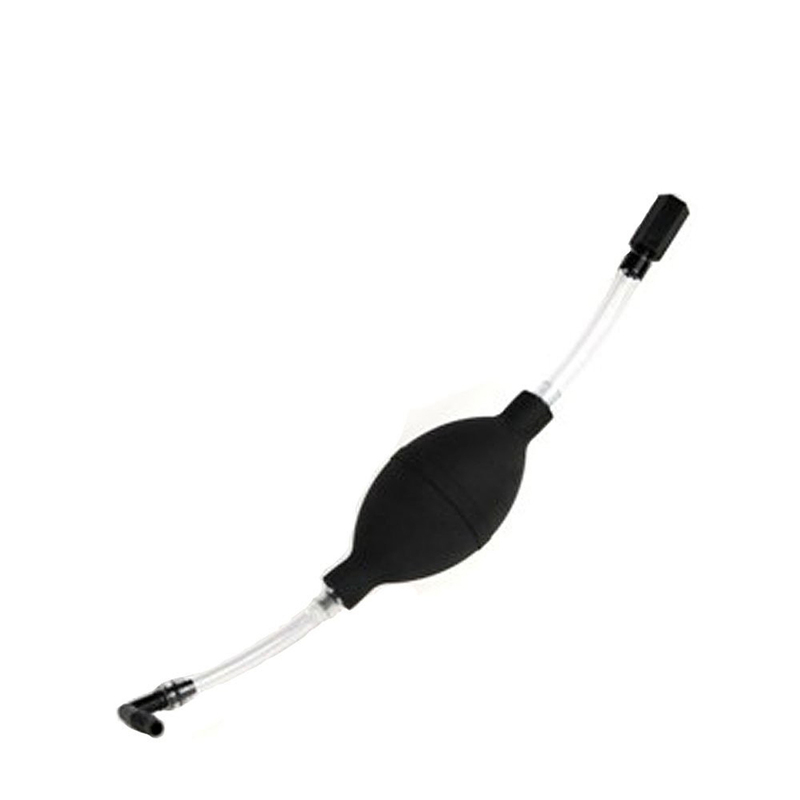 The Black Berkey Primer is a hand-powered priming pump that primes the Black Berkey filters without the need for faucets or hose connections. The perfect solution for those with unwieldy faucets, small sinks or for travellers with no access to running water. Priming the Black Berkey filters saturates the filters with water prior to their use, allowing for clean water production anywhere. The Black Berkey Primer also back-flushes (purges) the Black Berkey filters using air instead of water to clean the pores of the exterior filter wall. Back-flushing the Black Berkey filters clears the pores of particles that have accumulated with long term use. As well back-flushing with air reduces the amount of time needed to dry out the filters prior to storing them. The Black Berkey Primer is easily cleaned with a proper dilution of natural cleaning products or mild dish soap and warm water. After washing please rinse all components thoroughly and allow to completely air dry prior to storing away in a cool, dark and dry place. Do not expose the Black Berkey primer to direct sunlight as UV light will breakdown the product. Do not microwave the Black Berkey Primer. The Black Berkey primer is specifically designed for the Black Berkey filters and is not meant for use with other gravity-fed filters. Complete Black Berkey Primer assembly and maintenance instructions.